This great style is underrated everywhere ... except maybe Poland. I’d been telling him that amid Poland’s new taste for variety—their own “craft beer revolution” is only about five years old—the most reliably impressive beers I’d had were Baltic porters. And it appeared that nearly every Polish brewery needed to have one. “That’s because it’s our beer style!” Kowalczyk said, banging his fist on the table in mock outrage. Of course there are other countries around the Baltic Sea that brew them (not to ignore fond imitations farther abroad), but in Polish culture, strong porter holds a high place that few beer styles reach in any country. I’ve seen multiple references to it, in Polish, as the “Polish brewing treasure” or “Polish black gold.” Every January, the Poles—or at least a bunch of their bars—celebrate Baltic Porter Day. (In 2017, it’s on January 21.) The event is a whole two years old now, which in craft beer terms is a hallowed tradition. “It is a style of beer of which we can and should be proud, that should be our calling card in the world,” one Polish beer blog said. “Promote our brewing treasure, exhorting brewers to a slightly bolder approach to style, a little breath of a new spirit. Let Baltic porter be our differentiator in the beer world map!” Certainly the Poles are among the best at brewing this style; five of the top 10 Baltic porters in the world according to Ratebeer scores are Polish; the other five are North American. January is an ideal time for Baltic Porter Day, since these lush, bold black beers are best in winter, when our bodies seek more warmth and comfort than refreshment. They can be sweetish or bitterish or both, but above all they are most enjoyable when smooth in flavor and thick of body, revealing layers of malt complexity that can include dark fruit, cocoa, coffee, toffee and licorice. On Polish bottles, next to the alcoholic strength, there is a second number at least as important to local drinkers: the percentage of sugar extract before fermentation, or degrees Plato. Like starting gravity—an awfully nerdy thing to put on a beer label—it’s a measure of wort density. American drinkers might wonder why that would be useful, since the alcoholic strength is right there next to it, and isn’t that the most important thing? But to Polish drinkers, that extract is a measure of richness, an indicator of boldness and body. If you want a big beer, you look for a big extract number; the rich and bitter Pinta Imperator Baltycki, for example, has an extract of 24.7 degrees (that’s a gravity of about 1.104, for you homebrewers). The story about beer writer Michael Jackson inventing the category called “Baltic porter” is true, as far as it goes. He wrote that the classification “grew out of a series of articles I wrote in 1990, after a visit to Estonia.” Jackson was fascinated by the story of British brewers exporting strong porter to Russia and Eastern Europe in the 18th and 19th centuries. In 1990, he went to Tartu to find the A. Le Coq brewery… which, notably, no longer made porter. But it soon started brewing it again, probably nudged by Jackson’s writings and the opportunities enabled by the end of the Cold War. So what about Poland, where porter never stopped kicking along? In Jackon’s 1977 World Guide to Beer, he said that the porter of Poland has “a medium palate, and is heavy and strong, with about 6.0 per cent alcohol by weight” (about 7.5 percent alcohol by volume). He didn’t say much else about it then. 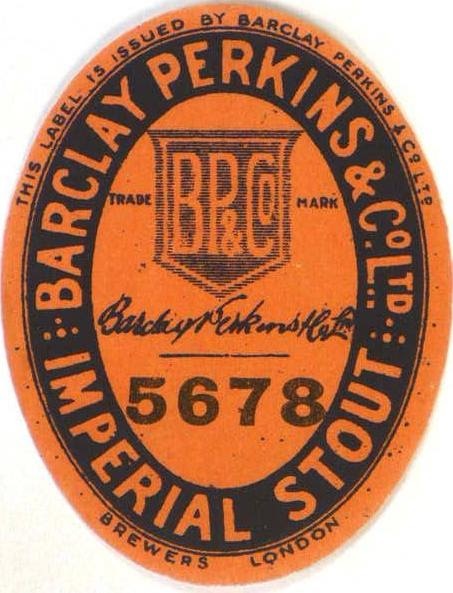 The point is that the ports of Eastern Europe and Russia developed a taste for the stronger, dark beers of Britain, which was the first place to industrialize it. That taste withstood the years and wars both hot and Cold… though it also adapted to the lager yeast already favored by the region’s brewers by the mid-19th century. These days, Baltic porter is nearly always bottom-fermented, leading to a cleaner profile that further showcases—in a good one, anyway—that nearly fathomless dark malt character. Good news for the holidays, if you are into the pairing thing: They are great fun with pumpkin pie, ice cream, fruit pies or cheesecake… But in my view Baltic porters are best of all paired with disagreeable weather, thick socks, a warm radiator, decent book, and no distractions. tweet 209 queries in 2.728 seconds.